As inexpensive as smartphones come, Amazon Prime customers can purchase it for as low as $50. Unlocked and ready for two GSM SIM cards, this phone supports AT&T, T-Mobile, and their respective MVNOs. A great solution for smartphone buyers who need something cheap, quickly. 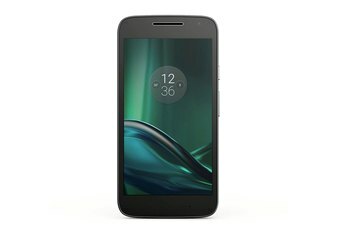 The discounted version requires an Amazon Prime account and a willingness to put up with ads in the lock screen and notification bar. Consumers may not be ready to take a risk on an unfamiliar brand. Performance matches the price; the phone features just enough hardware to get basic tasks done. 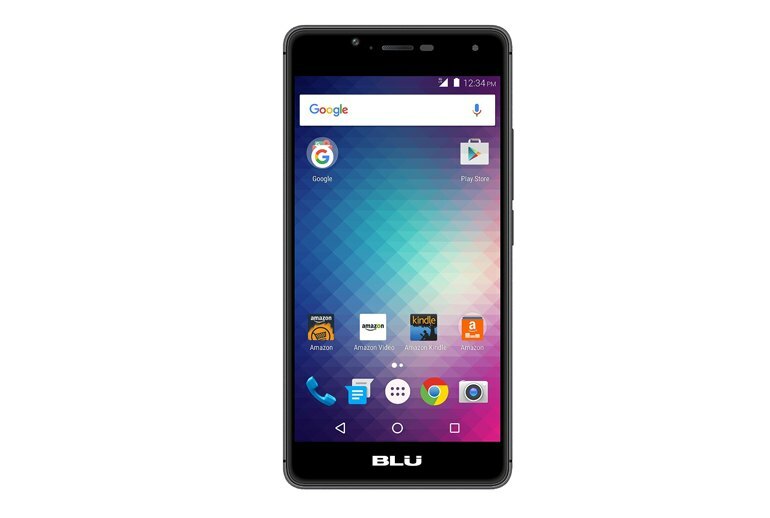 Perhaps the least expensive smartphone you can get your hands on, the Blu R1 HD is an unlocked handset that works with GSM providers. Available to consumers for $100, it's also offered to Amazon Prime subscribers for as low $50. 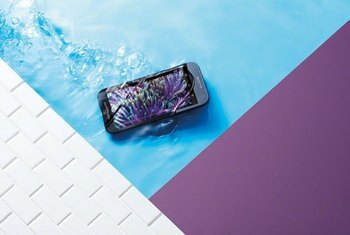 In exchange for the discount, however, customers are shown ads and product suggestions on the lock screen and notification bar. In terms of hardware, the phone reads like something out of 2013 with basic specifications. 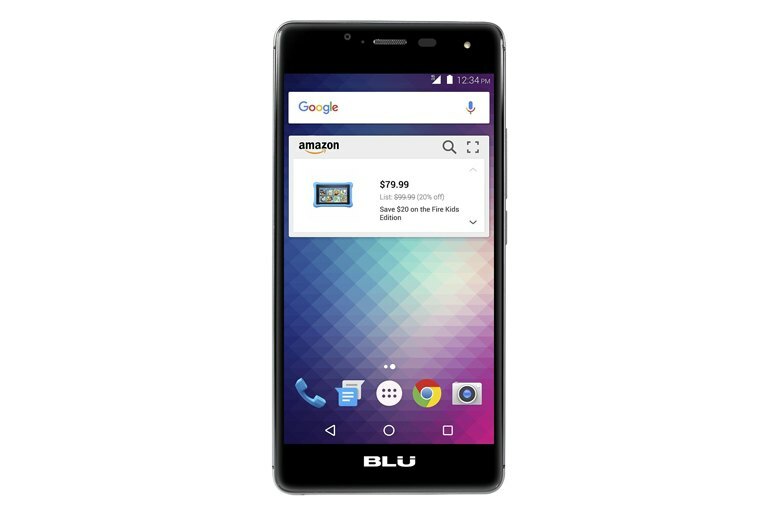 Powered by a quad-core 1.2 GHz processor with 1GB RAM, the R1 HD offers up a 5-inch 720p display, 8-megapixel rear camera, and 5-megapixel front-facing selfie camera. Still, even with its basic features, it runs Android 6.0 Marshmallow. It's enough phone for someone to get their feet wet in the world of Android. Battery life is quite good. The R1 clocked 5 hours and 57 minutes in our rundown test, in which we set screen brightness to maximum and stream full-screen video over LTE. I had no trouble getting the R1 to last through a full day of use. 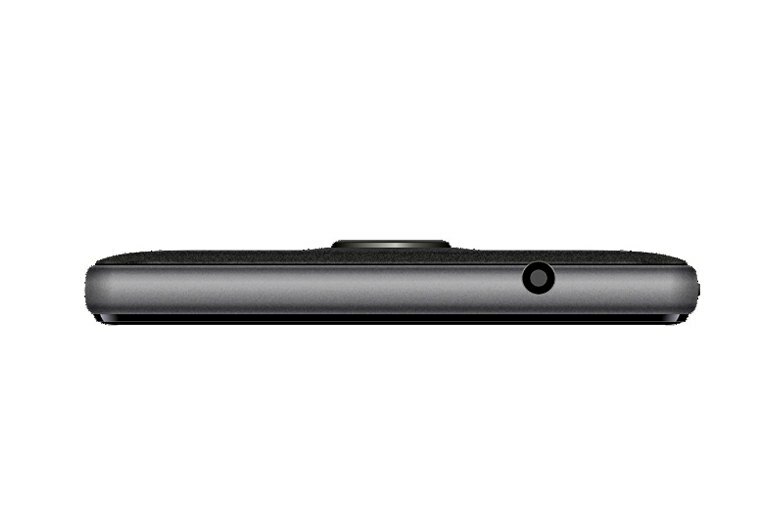 The resolution may disappoint some, but there is only so much you can expect from a device priced at $100. The quality of the display is actually quite good, with content appearing sharp overall, along with good viewing angles and decent color reproduction. 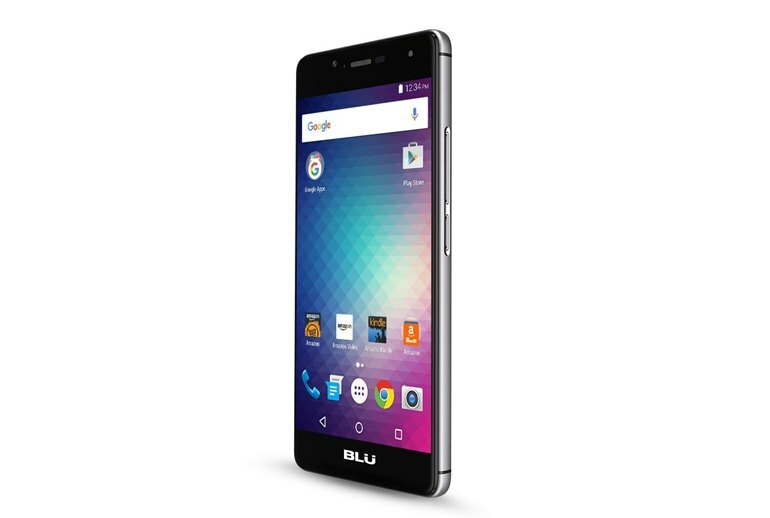 You won't confuse the Blu R1 HD with a fancy flagship phone, but it's fairly sleek for a budget device. 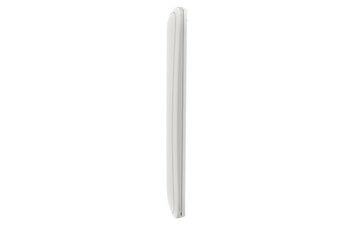 Its slim silver edges do a decent impersonation of an iPhone, while its curved-rectangle shape brings the Galaxy Note series to mind (minus that phablet's massive size). I especially like the phone's soft-touch back, which makes it easy to grip. Is it possible to go wrong with a $50 smartphone? In a word, yes. Did Blu go wrong with the R1 HD? Hardly. 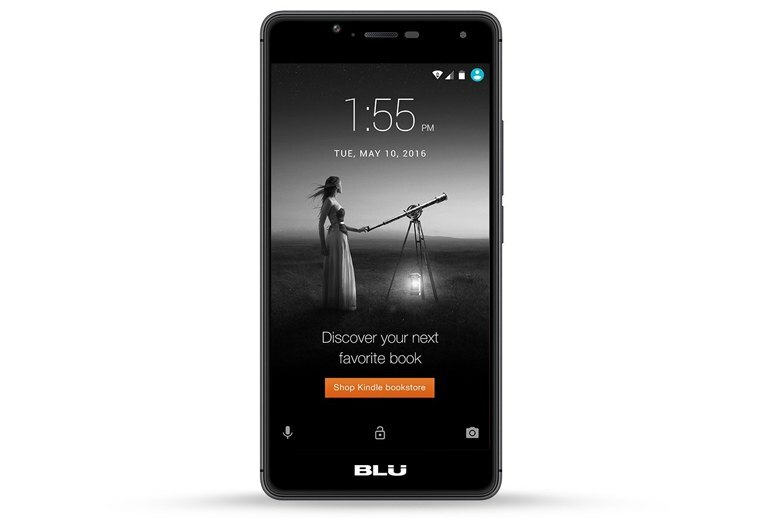 Thankfully, Blu didn’t cut all of the corners it could have with this phone. Although the price has damn near bottomed out for these devices, the quality hasn’t. Imagine this, also: Pokémon Go runs just as well, if not better, than it does on my personal iPhone 6. Oh, and how about this wild occurrence: other than the ads, the phone is almost bone stock Android 6.0 Marshmallow, and unlocked to run on T-Mobile and AT&T. This is the phone for when you break your real phone and need to fill the gap until you’re ready for a true upgrade. This is the phone you get if you feel like your life would benefit from a second smartphone but don’t want to commit to the idea. Better still, this is the phone you don’t get, but use as a baseline for how inconceivably good and how cheap smartphones have gotten. The R1 HD is a basic, no-frills phone. 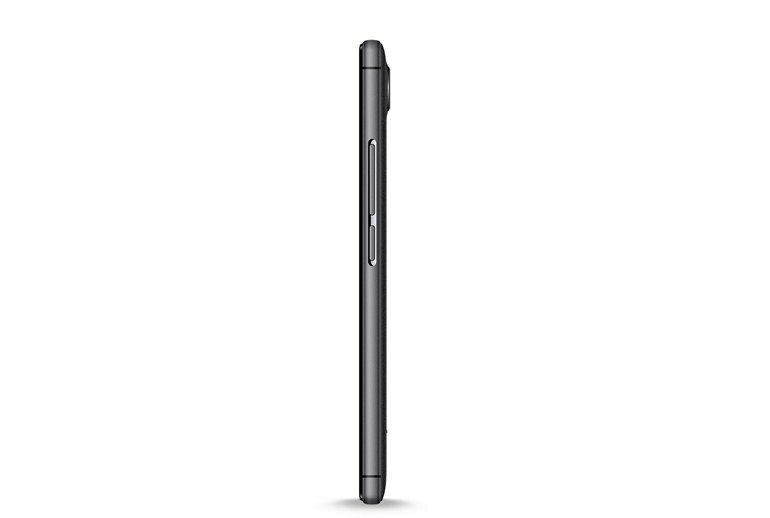 It’s a black-and-grey rectangle with rounded edges, a glass front, and plastic sides. Pry off its rubberized plastic back to reveal its microSD card slot and dual SIM trays. The latter feature is usually removed from the US versions of phones, but it’s present and apparently fully functional here. It’s stupidly inexpensive, but it’s not totally cheap. It’s not flimsy or loose-feeling. Its edges are neatly rounded and made of something approaching genuine metal. Its back cover is a rubbery fingerprint magnet, but it’s removable and pleasantly soft. Loading and scrolling through websites and my image-heavy Facebook, Twitter and Instagram feeds has been startlingly smooth. There’s been no delay banging away on the keyboard when sending an email, either. Even streaming video on Netflix and YouTube has been a breeze.